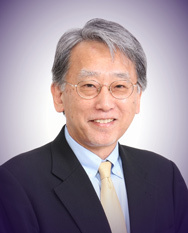 Oriental Life Insurance Cultural Development Center (OLICD Center), also known as OLIS, was established in 1967 by the late Dr. Saburo Kawai to contribute to the sound development of the life insurance business in Asia by deepening knowledge about life insurance and developing capable personnel. Since the foundation of OLICD Center, we have hosted life insurance seminars at home and abroad. The number of participants to Tokyo Seminars totaled about 4,800 people, most of whom were up-and-coming personnel working for life insurance companies and regulatory agencies. It can be easily imagined many of them are now taking up important positions in the life insurance industry and the government in each of their countries. In addition to seminars organized for people in Asia, we also sponsor endowed courses and forums at Japanese universities in pursuit of better understanding of life insurance and life insurance business among university students as well as general public. The 21st century belongs to Asia; however, this on-going demographic shift will inevitably trigger another drastic change in our social environment. OLICD Center would like to further strengthen the relationship with life insurance associations and regulatory agencies in Asia. Together, we will play the new role expected of life insurance industries. It is amazing how quickly time flies as we find ourselves reaching a significant milestone in 2017. To commemorate our 50th anniversary with the people who engage in the life insurance business in Asia, we held the symposium which gave us the perfect opportunity to follow the trajectory of OLICD Center from the time of its foundation, to see how the life insurance business in Asia changed in the past 50 years, and then, to identify the directions we should go forward for the next half-century. On a final note, our success today is a tribute to a tremendous amount of domestic and international support. Without the support we could not have remained in business for half a century. My special thanks go to the Gibraltar Life Insurance and the Prudential Life Insurance, two of the Prudential Group for their continuous support.